Top Rated Algebra Tutors in Phoenix, AZ! Welcome to Phoenix’s top-rated private algebra in-home tutoring service! All of the following Phoenix algebra tutors are certified by Varsity Tutors, the leading tutoring agency in the country! 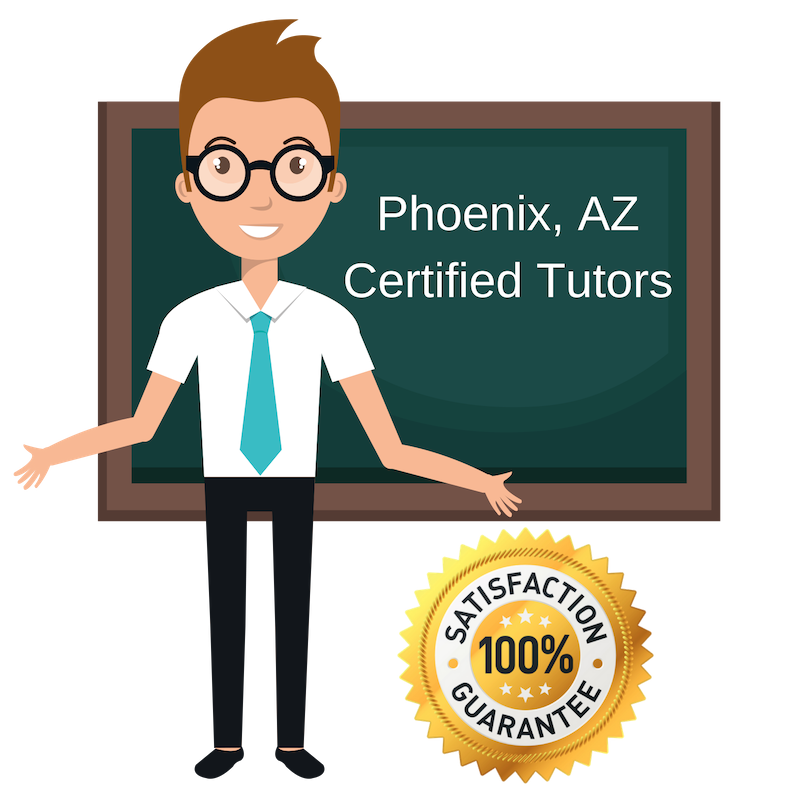 All Phoenix algebra tutors have been background checked, been interviewed, had mock algebra tutoring sessions, and been trained by professionals. We guarantee you will love your local Phoenix algebra tutor or your money back! Get information regarding a top-rated algebra tutor today! I am an Arizona native and am excited to be tutoring Algebra in Phoenix. I moved away for a few years to pursue a Master’s degree in Latin American history at the University of North Carolina–Chapel Hill, but I had to come back my home state of Arizona. While I was in school though, I was able to teach undergraduate courses and gain experience teaching and tutoring students. Learning and teaching are my passions and I am excited to be able to share this with students and help them understand how history relates to current events. Beyond history, I also focus my tutoring on writing and analysis and language arts. My graduate educational career gave me experience both in the classroom and teaching students one-on-one. I understand that each student has their own diverse set of skills and I try and find the best way to work with them individually. I tutor algebra in Phoenix, Arizona. I graduated from California State University. While completing my degree I started tutoring students and found I really enjoyed it and wanted to continue doing so. Having a role in a student’s progress and growth is something I take great pride in and find enriching. Most of my tutoring thus far has focused on English, but I also enjoy teaching algebra to students and helping them develop problem-solving skills they can use to navigate algebraic concepts. When tutoring, I focus on finding a way for each student to be comfortable and hopefully enjoy themselves while further exploring algebraic concepts and problems. In my free time, I like to read, hike, play pool, go out dancing, take yoga classes, and walk my puppies. Hi, I’m an algebra tutor in Phoenix. I have over 15 years experience teaching chemistry at the college-level, which also means I use algebra regularly and also tutor students in algebra. I have taught chemistry at various colleges, including Apollo College, Devry, Arizona State University, Scottsdale Community College, Grand Canyon University, and Glendale Community College. I have spent a lot of time tutoring students in Phoenix and would love to continue this in algebra. I adapt my tutoring to each student’s learning process and try my best to tailor my teachings to them. I am excited to help more students in the Phoenix area tackle algebra and enjoy themselves while doing so. I tutor algebra in Phoenix, Arizona. I have a strong science and math background, which I look forward to sharing with students. I prepared and studied for the MCAT while in college and learned some great studying habits along the way that I hope to teach others. I moved to Peru after I received my undergraduate degree to teach English. I spent seven months teaching and really enjoyed that experience and wanted to continue it here in Phoenix, tutoring in algebra. I enjoy meeting new people and finding a way for students to better understand and even like algebra. I’m Arman and I tutor algebra in Phoenix. I have over four years of tutoring experience. My experience ranges from mathematics to accounting, economics and finance. I very much enjoy tutoring and teaching students new skills. I focus on every student gaining a true understanding of each concept and when things get challenging I break the material down into digestible and understandable parts that we can build off of. I give each student all of my time and energy and am excited to share my learnings.